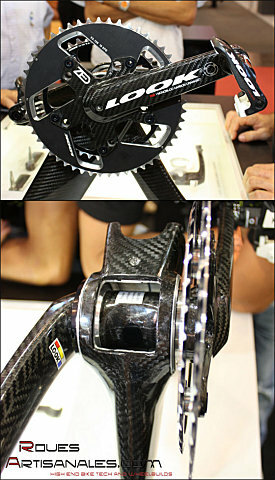 This is probably one of the most integrated component of the Eurobike. 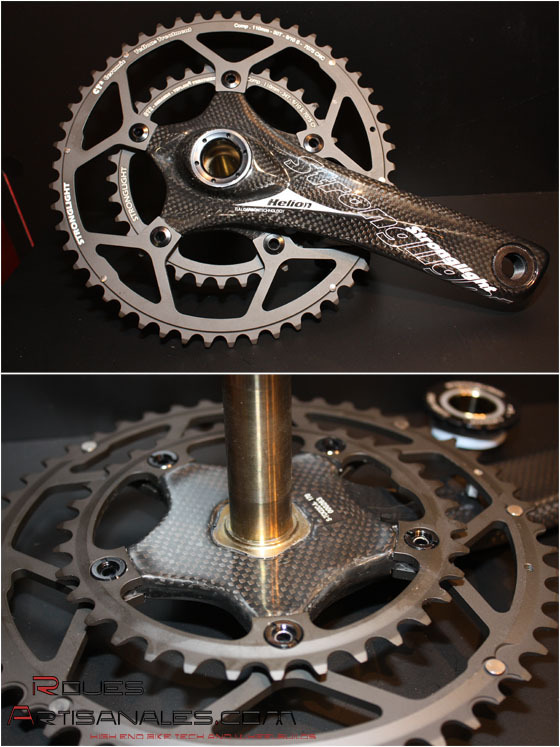 Look definitely pushed the enveloppe with its Zed crankset. easy, we just need to pass one arm through the frame, then lock it with a threaded cup. 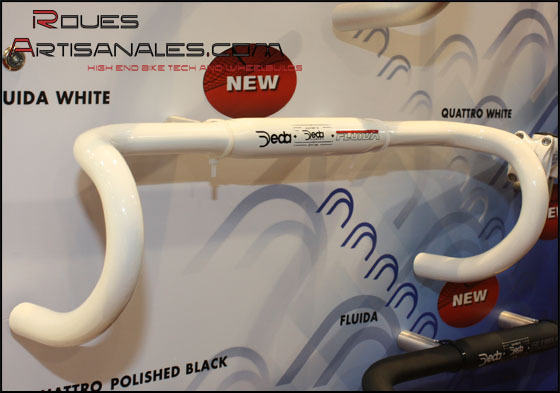 Looks claims it reaches new standards of stiffness, and stiffness to weight ratios. Xentis is releasing a new range of conventionnal wheels. 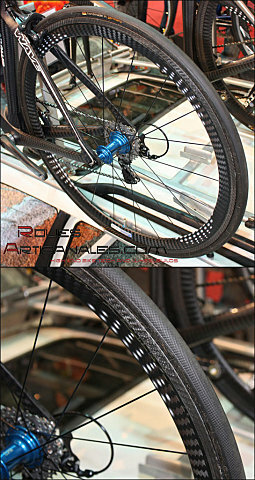 They are based on DTSwiss hubs, and DT Aerolite spokes, and the rims are using a twill carbon weave. 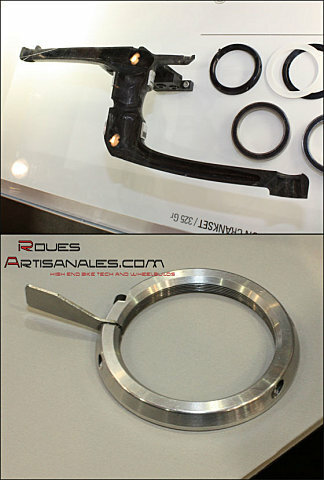 1195g, 1395g, and the clincher versions are 1250g, 1335g, 1535g. Some prototypes were exposed, they used Tune blue hubs, with a triplet rear pattern. 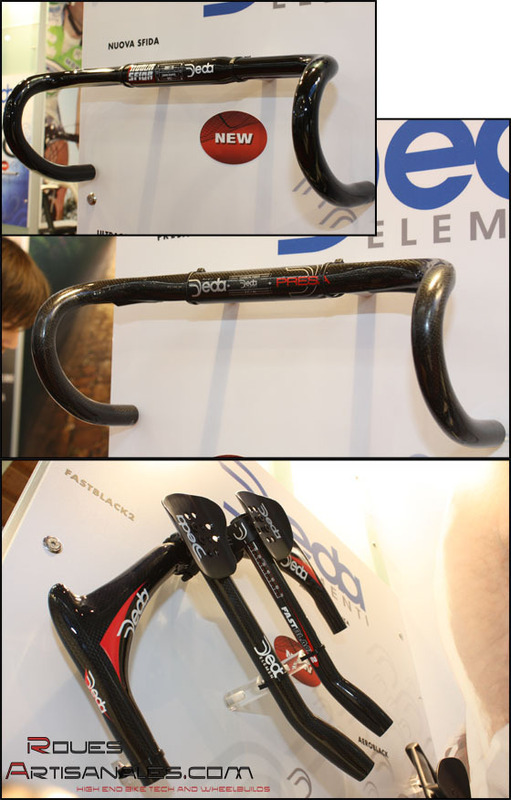 Deda Elementi has got some new components for 2009. 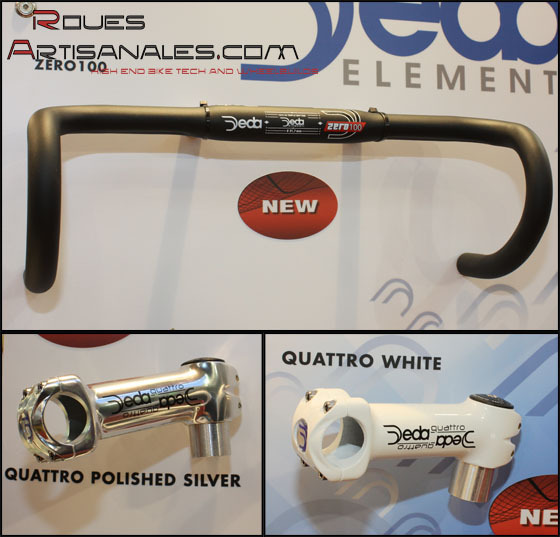 The range of stems/bars/seatposts is really getting very big and more than all, more interesting than ever. coming in white and black. Second, the Nuova Sfida is an aluminium bar wrapped of carbon. It features the RHM too, so the shape is shallow: 75mm reach, 128mm drop. The weight is about 308g. The Zero100 existed only as a stem, the corresponding handlebar is released: strong 7075T6 triple butted alloy. 40-42-44-46mmcm, drop 128mm, reach 75mm, weight 242g. Finally, the Fast Black 2 is a time trial aerobar weighting 340g. You can find more informations in the article we published some weeks ago: HERE.